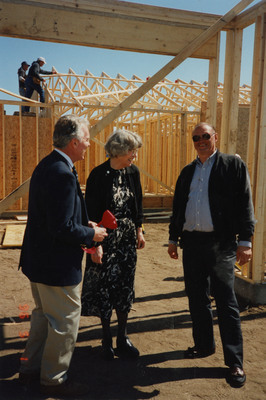 Rosemarie Myrdal visiting a construction site during the Project Trade ribbon cutting. Standing next to her are Lee Mitzel (on her left) from Mitzel Builders and Craig Dunn, NDAB. Information taken from the back of the photograph.